A ceremonial final strike of the hammer on May 10, 1869, marked the completion of the Transcontinental Railroad, as well as the dawn of a new age of American industry. Ever since that day, railroads have been a major contributor to the United States’ emergence as the world’s largest economy. Today our economy relies on many different methods of shipping goods, whether it’s through the air, over the sea, or across our extensive highway system. But you may be surprised by just how dominant a part of our trade infrastructure freight rail remains today — and how well-positioned it is to continue that dominance for many years to come. 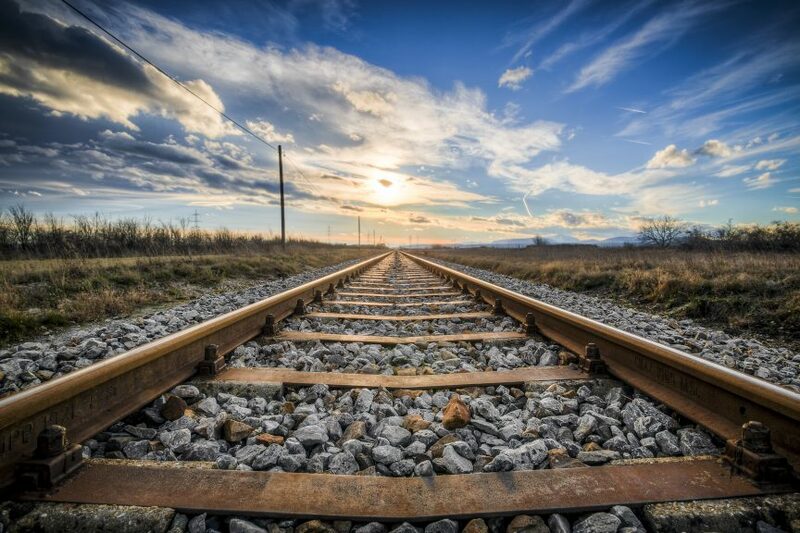 Check out our list of fun facts about rail that cover everything from its storied history, to the tremendous infrastructure supporting it, to its astounding potential as a sustainable form of transportation. Transporting everything from essential consumer goods to heavy industrial equipment, railroads still account for 16% of all freight shipments within the U.S. — despite the emergence of more “modern” forms of transportation like airplanes and even drones. American rail’s long history of prosperity has cemented a legacy unlikely to fade away anytime soon, especially given just how vast the country’s rail infrastructure is. The United States boasts the world’s largest railroad system, running 5.6 times as long as Earth’s circumference, connected by 489 million railway ties, and made of over 107 billion pounds of steel — enough to build 6,667 Eiffel Towers. And while it may seem old-fashioned to continue relying on rail when you’ve got trucking and air freight, it turns out that rail is actually the more progressive choice — after all, rail freight produces 75% fewer greenhouse gas emissions than trucking does. In fact, replacing 100 Class B Double trucks with a single freight train can have the same effect as a family cutting their electricity for forty years. Since rail transport of freight reduces congestion on America’s roads, its continued use can also prevent the erosion of our highway infrastructure. If just 10% of the freight currently moved by trucks were moved by rail, the U.S. could annually save as much as 1.5 billion gallons of fuel and reduce carbon emissions by an estimated 17 million tons. That’s about the same as taking around 3.2 million cars off the road for a year, or planting 400 million trees. Since its founding in 1975, Midwest Industrial Supply, Inc., has provided railroads with sustainable, patented rail switch lubrication products that increase performance while reducing emissions and maintenance costs. As our founder and CEO Bob Vitale stresses, Midwest is “constantly looking to new chemistries and technologies that not only bring performance but meet the environmental requirements of tomorrow.” In 1980, trains were able to move one ton of freight for 235 miles on a single gallon. Thanks to groundbreaking technologies like the ones provided by Midwest, that efficiency had increased by 99% to a whopping 468 miles per gallon in 2016. As we at Midwest continue to honor our commitment to both industry and the environment, we hope to help rail become an even more sustainable mode of transportation as American industry rolls on into a new era.